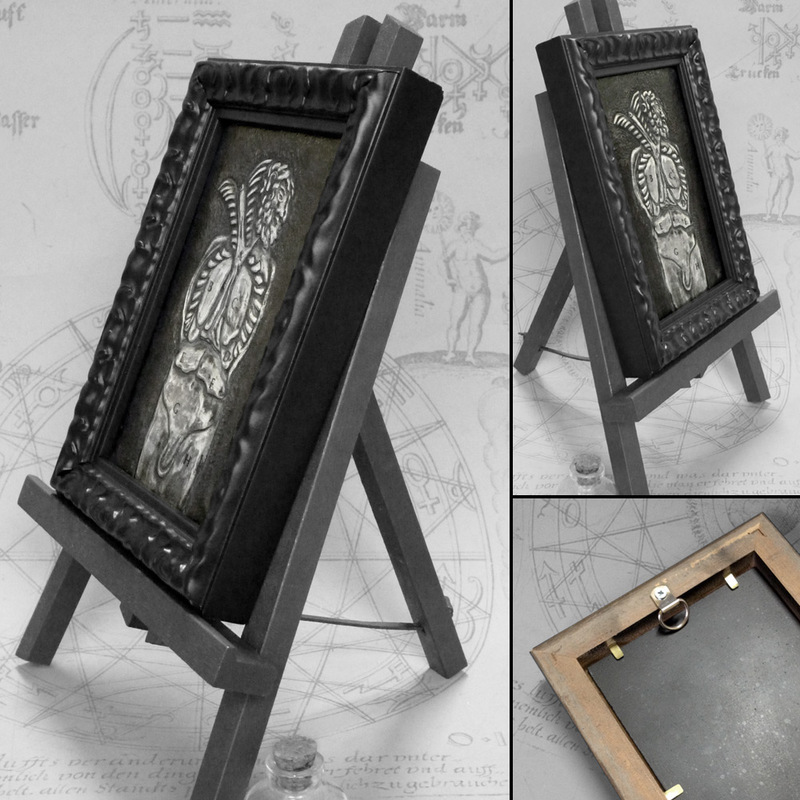 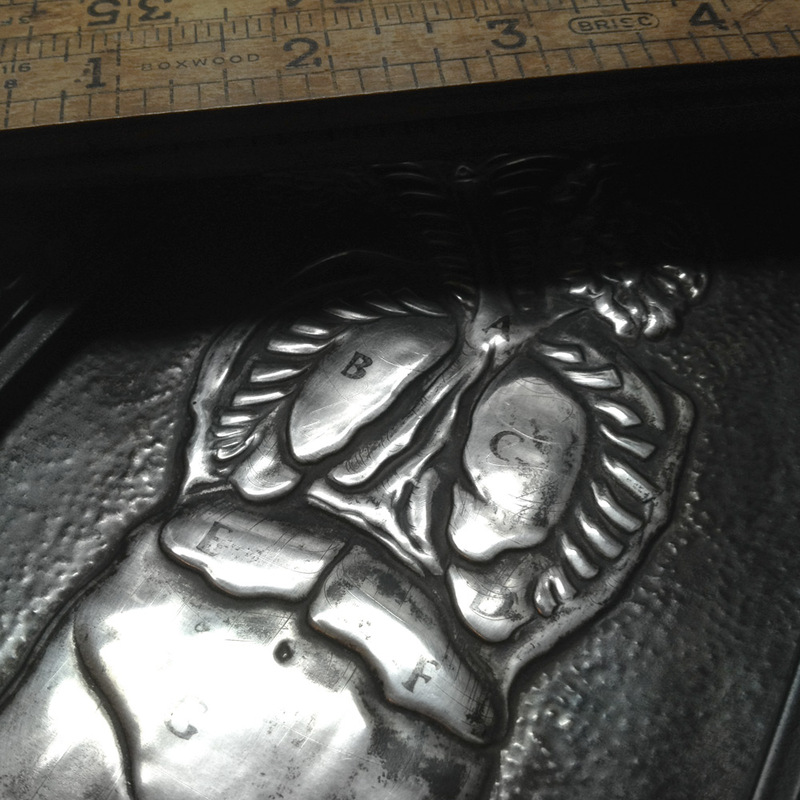 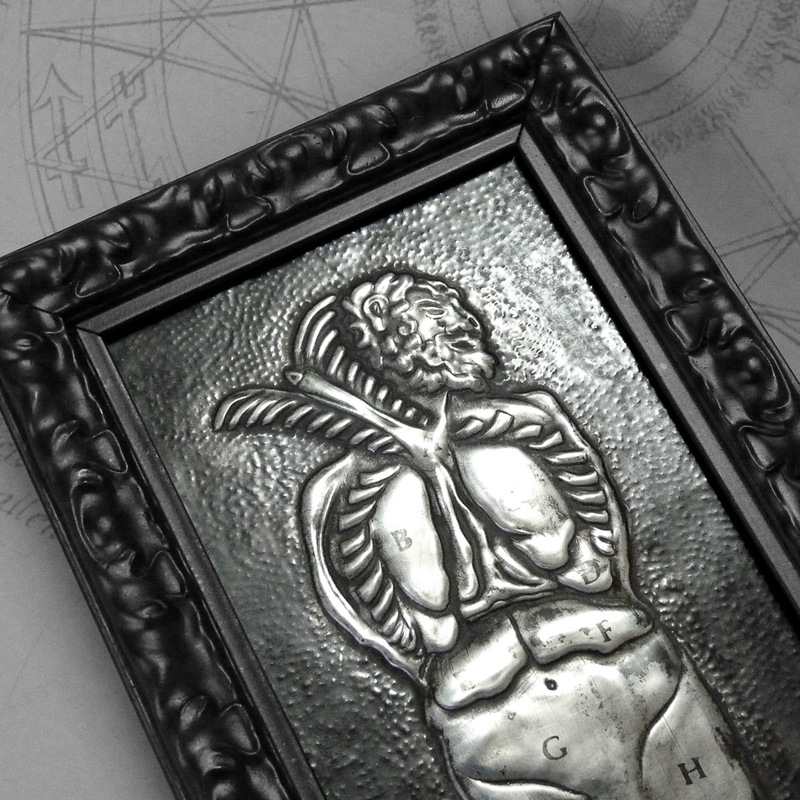 Frame: 19cm x 14cm x 2.5cm / 7.5" x 5.5" x 1"
Embossed panel: 14.5cm x 9.5cm / 5.75" x 3.75"
This dissected torso is based on an antique medical diagram. 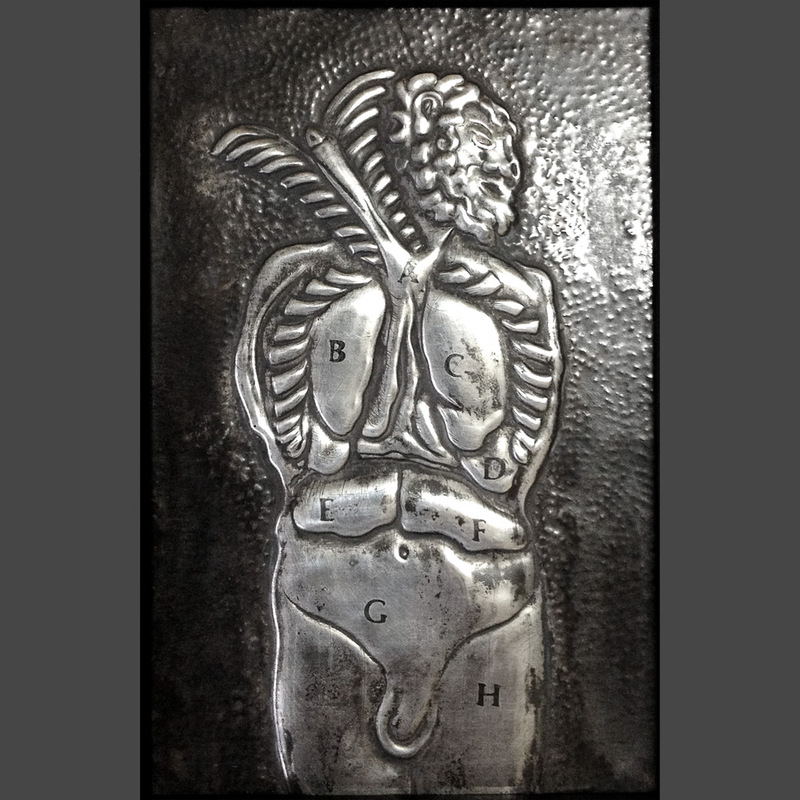 The sternum has been cut away from the ribs and lifted upwards to reveal the lungs and other organs. 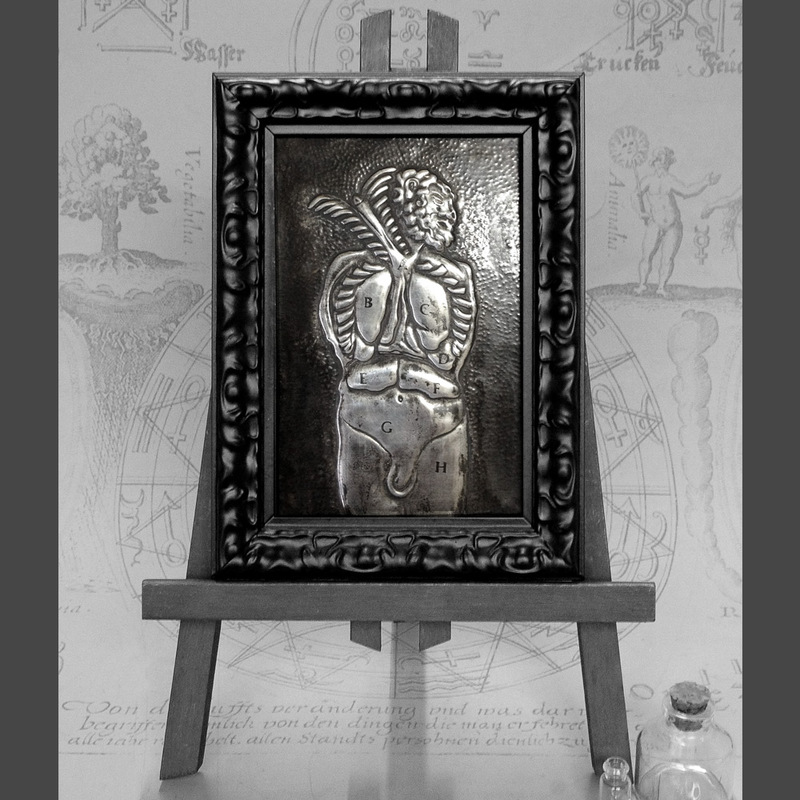 I’ve added lettering and stained the background a dark patina, and it’s set in an ornate black wooden frame.